There are actors in every industry who have been introduced to the field of Cinema at a very young age. And we ended up being very fond of their presence and acting on screen. They have grown up give some sensational movies. 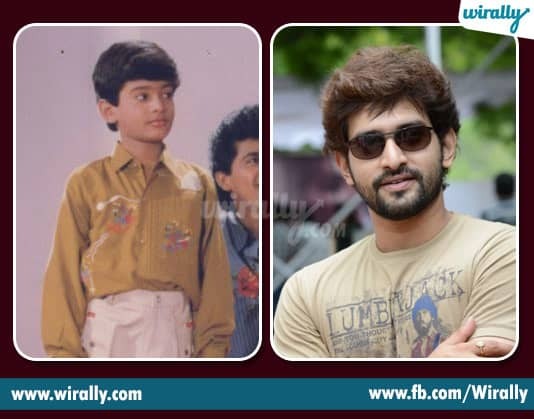 Let us recollect few of those stars from Tamil and Telugu who have started out as child actors. 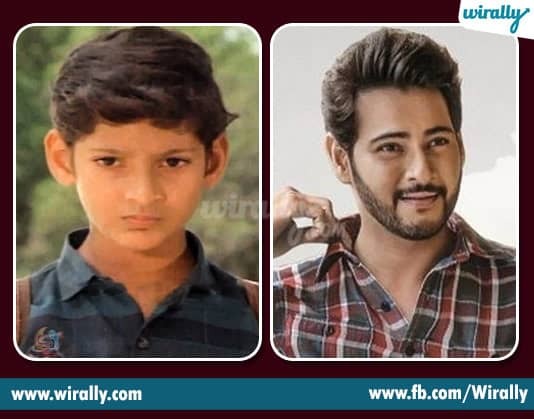 Before turned out to be superstar Mahesh, did various movies like Mugguru Kodukulu, Koduku Diddina Kapuram, Bala Chandrudu, as a child artist in his father movies and others. Then he made his debut through Rajakumarudu, and later with movies like Okkadu, Pokiri, Dookudu he turned out as a Superstar in Telugu film industry. 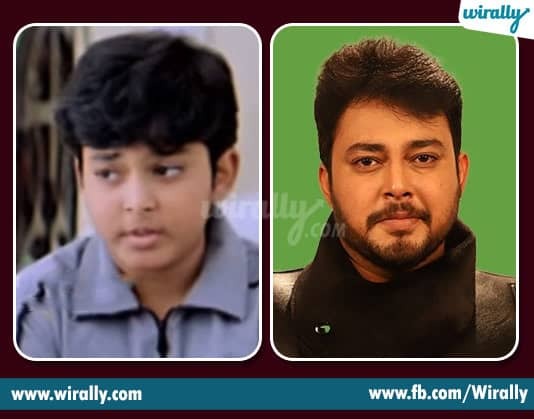 Tanish started his career as a child artist. 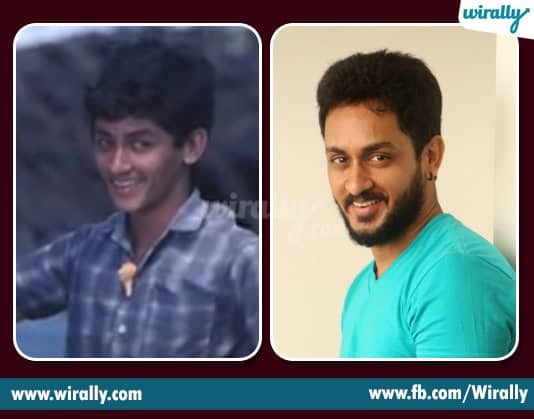 We know him from the movie ‘Devullu’ where he played the role of Lord Ayyappa. He has also appeared in Nagarjuna’s super hit movie ‘Manmadhudu’. In 2008, he debuted in the industry as a hero with the movie ‘Nachavule’. 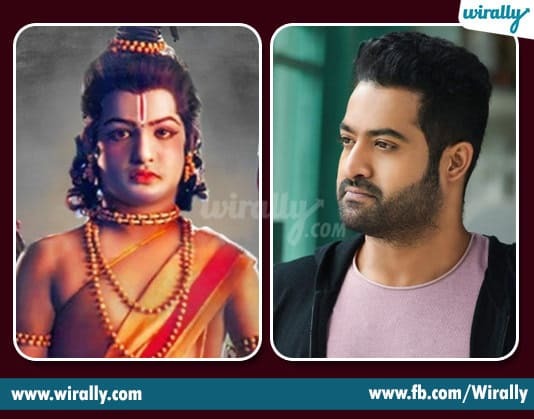 As a child artist, he acted in his paternal grandfather Sr. NTR movie Brahmashri Vishwamitra, and Gunasekhar ‘Ramayanam”, in which he played child lord Rama character, which won the ‘National Film Award for Best Children’s Film’ for that year. Then made his debut with ‘Ninnu Choodalani’ movie produced by Ramoji Rao, Ushakiran Movies banner. Tarun isn’t hard to notice. He has done quite a few films as a child artist in ‘Anjali’ and ‘Aditya 369’ are some of his best and memorable performances. 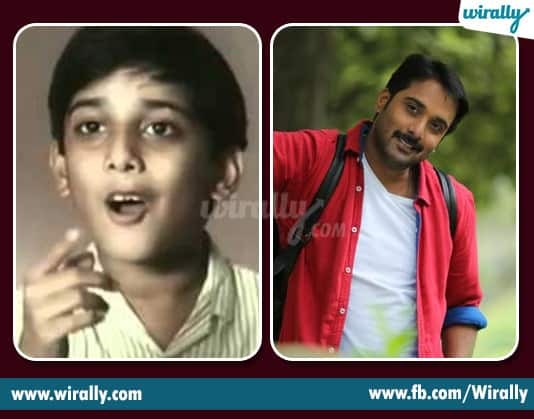 Tarun was lauded for his incredible acting skills when he was a kid. In fact, that’s what paved the way for him when he debuted as a hero in Telugu Cinema. 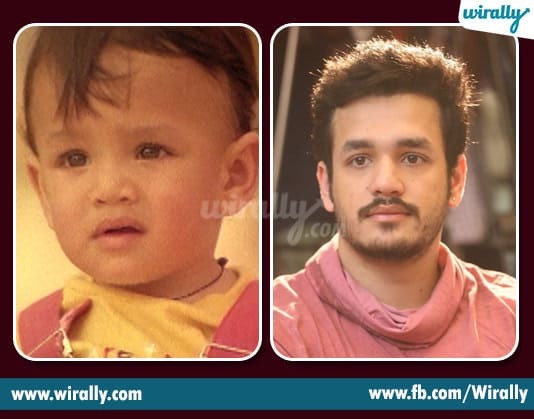 Akhil who impressed everyone with his adventures, cute expression, and naughty actions are unforgettable in ‘Sisindri’ movie as a child artist. And made his debut with ‘Akhil’, movie after almost 20 years. Sri Divya started her career at the age of three. 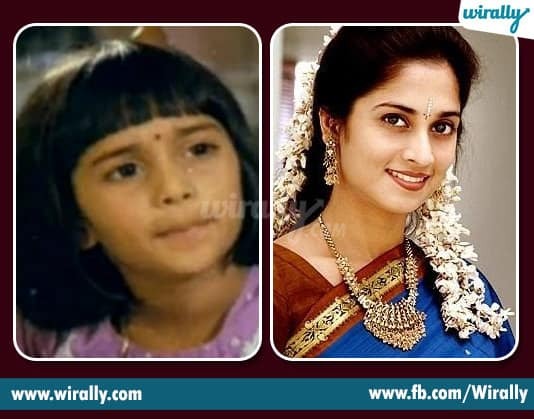 She acted in Hanuman Junction, Yuvaraju, Veede, as a child artist. Later she made her debut through Ravi Babu ‘Manasara’ in 2010. She is critically acclaimed for her performances in Bus Stop, Mallela Theeram Lo Sirimalle Puvvu, Kerintha movies. Dashing director ‘Puri Jagannadh’, only son Akash seen in few films like Bujjigadu’ and ‘Chirutha’. Later he made debut through flick ‘Andhra Pori’, and acted under his father directorial movie ‘Mehbooba’. 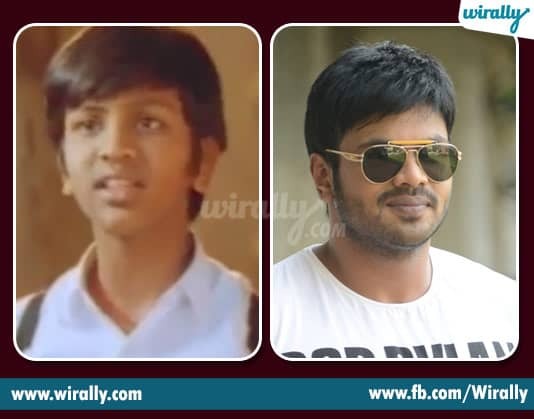 Baladitya is who acted as child artist in Rajendra Prasad’s comedy film ‘Edurinti Mogudu Pakkinti Pellam’. 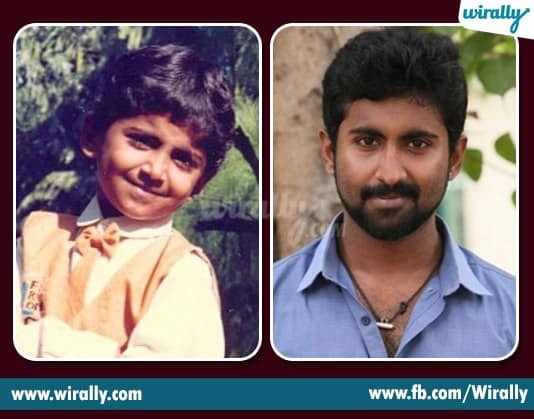 He acted in almost 40+ movies as a child artist and got Nandi award for as a child actor for Anna and Little Soldiers. Then he made debut as a hero in Chantigadu (2003) directed by B. A. Jaya. She is well known for her performances in ‘Jai Chiranjeeva’, and ‘Dookudu’. Later she made her debut as a lead role in ‘Gayakudu’ in 2015 and also acted recently Annapurna Studios ‘Nirmala Convent’. Ali made child artist debut with ‘Seethakoka Chiluka’, for which he won ‘Best Child Actor’. 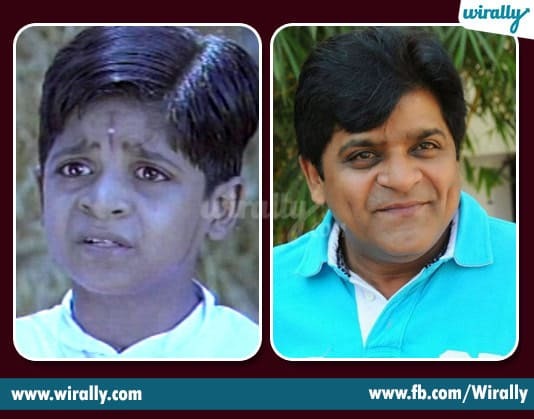 He also played child roles in Chantabbai, Swati Mutyam, Punyasthree. Then he settled as a full-time comedian in TFI and did more than 1000+ films in the telugu industry. 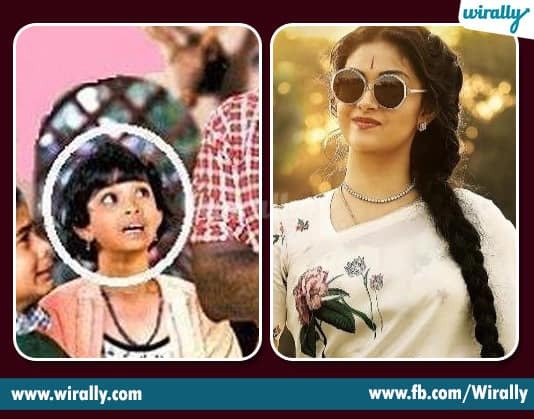 Keerthy is a daughter of yesteryear’s producer G. Suresh Kumar and actress Menaka. With their, she acted as child artist in Malayalam movies like Pilot, Achanayikistam, Kuberan etc. Then she made her debut through Malayalam movie Geethanjali, Maya in Tamil, and Nenu Sailaja in Telugu. Manoj who played a younger version of Prabhas, Mahesh, in Chatrapathi and Athadu impressed everyone with ease of acting. Later he played lead roles in movies like ‘Oka Romantic Crime Katha’ (2012), ‘Prema Prayanam’ (2013) and Oka Criminal Prema Katha (2014). Manoj acted as a child artist in Senior NTR and Mohan Babu’s ‘Major Chandrakanth’, and ‘Adavilo Anna’, ‘Khaidhigaru’ movies. Then he made his debut with ‘Donga Dongadi’, and did versatile movies like Nenu Meeku Telusa?, Prayanam etc. Shweta started her career with television and then soon moved to Bollywood as a child artist with Makdee, and Iqbal. For dual role performance in Makdee, she got National Award as a Best Child actress. Later in 2008, she made her lead role debut through Telugu movie ‘Kotha Bangaru Lokam’ and currently she is back into television with Hindi serial ‘Chandra Nandini’. 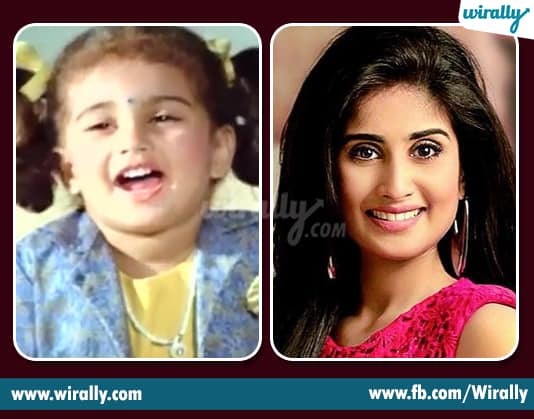 Shalini made her debut in Malayalam as a child actor and continued to act as a child in 36 films. She played an important role in the film Raja Chinna Roja which was the first animation integrated film in Tamil. She debuted as a heroine in Tamil with Kadhalukku Mariyadhai and was one of a popular actress of those days. 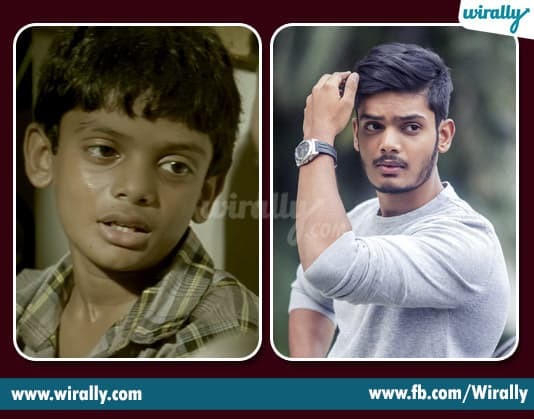 He worked as a child artist in several Tamil movies. 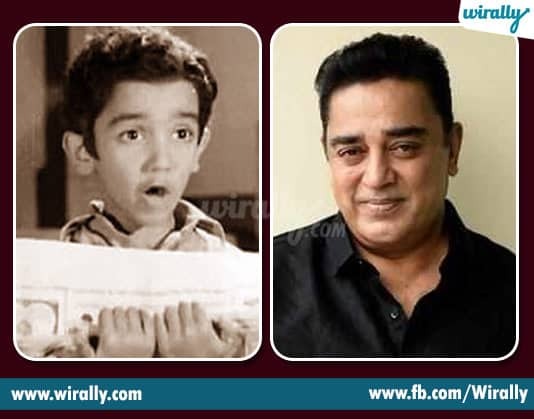 Not many are aware that Kamal Haasan even won the prestigious President&#39;s Gold Medal for his performance in Kalathur Jannamma at the age of four. He now is the most inspirational actor for he chooses to experiment with his movies and most of them are the ones that are great hits. 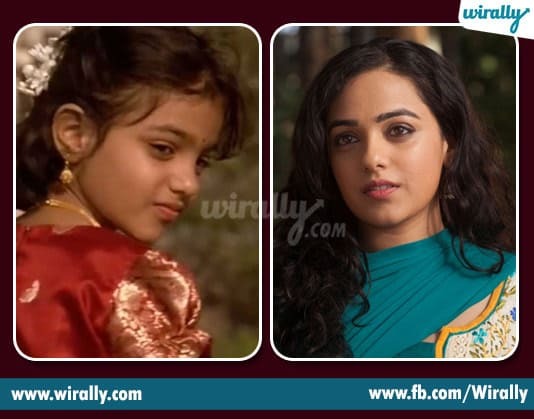 Born in Bangalore to Malayali parents, Nithya Menen appeared on screen for the first time when she was ten years old. She was a part of an Indian English language film, The Monkey Who Knew Too Much in 1998 where she played Tabu’s younger sister. She later acted in a Hindi soap Choti Maa – Ek Anokha Bandhan which was an adaptation of a popular Tamil serial, Chitti. 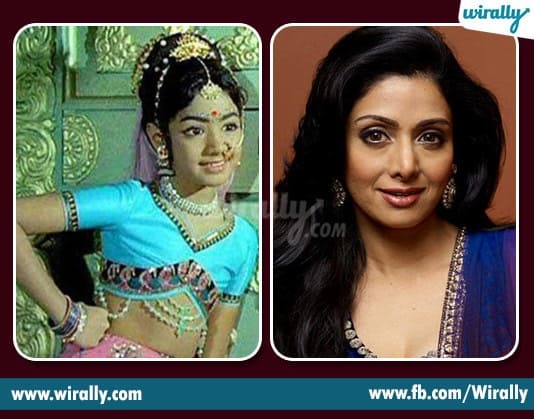 Sridevi started her career as a child artist at the age of four, playing the role of a daughter in many of the films of legendary actors Shivaji and MGR. Her cute performance as Lord Muruga in the film Muruga was loved by all and soon she became one of the favourite child actor. Shamli popularly known as baby Shamli was appreciated for her performance as the mentally challenged child in the film Anjali. She also received the National award for the best child artist for the film. After acting in a few films as a child artist she went on to Singapore to pursue her studies. Like his wife, Shalini, Thala Ajith Kumar also started as a child artist. We were first seen in Suresh and Nadia Moidu starrer En Veedu En Kanavar. He was spotted as the boy dragging the cycle along with a girl in a particular scene from the film. 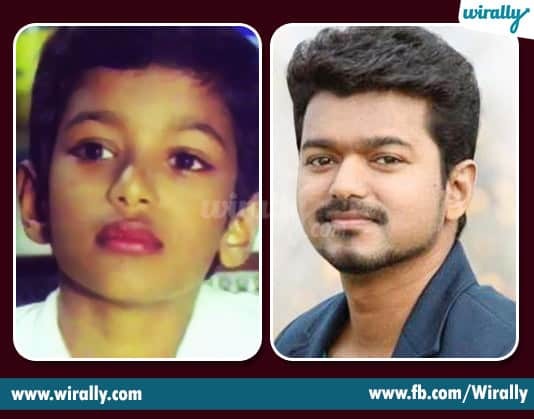 Vijay started off as a child actor and has acted mainly in his father’s films. He acted in the film Vetri. 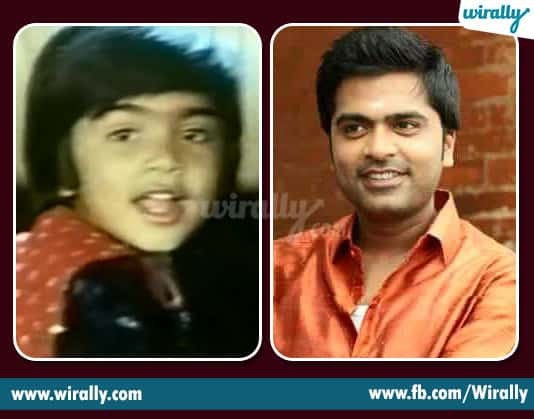 Silambarasan the elder son of the actor-director T.Rajendran, inherited the passion towards film industry from his father. As a child actor, he mainly concentrated on his father’s films. His song ‘I am a little star aavene superstar’ was liked by everyone mainly for his dance steps and cute expression. Hansika was a popular child actress in Bollywood. She appeared as one of the children in Koi Mil Gaya with Preity Zinta and Hrithik Roshan. She received the favourite child actor award for her memorable performance in the serial Shaka laka Bhoom Bhoom. Mahendran has acted in over 100 films as a child actor and has twice received the National award for the best child actor. If we missed any names from both Tamil and Telugu please mention them in below comments.